This is a very effective fly when used as pointer or last fly. Use it with a control fly and you will have great success. 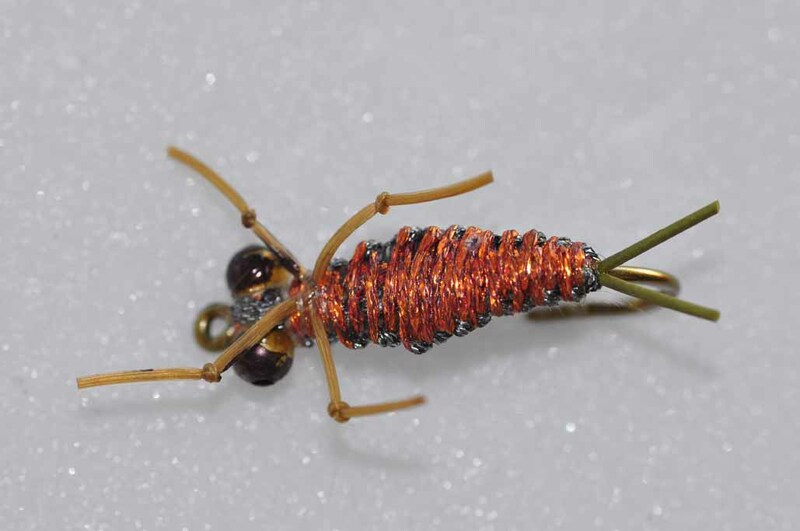 Simple to tie (Pheasant Tail Nymph with Orange Hotspot) but very effective. Reason for it being so effective has not yet been found but the orange colour is a great attractor and an great fly to use. Maybe seen as an egg/egg pattern. Always have a couple in your bag. This fly is also an effective fly and can be use in many structures and speeds. A very simple design with the added benefit of some flashabou on top of the wingcase acting as an attractor. A good pattern is: #14-16 black FB Nymph with silver rib and a golden bead. 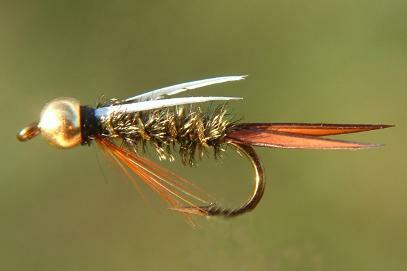 One of the most effective flies for Yellowfish anywhere in SA for Yellowfish. 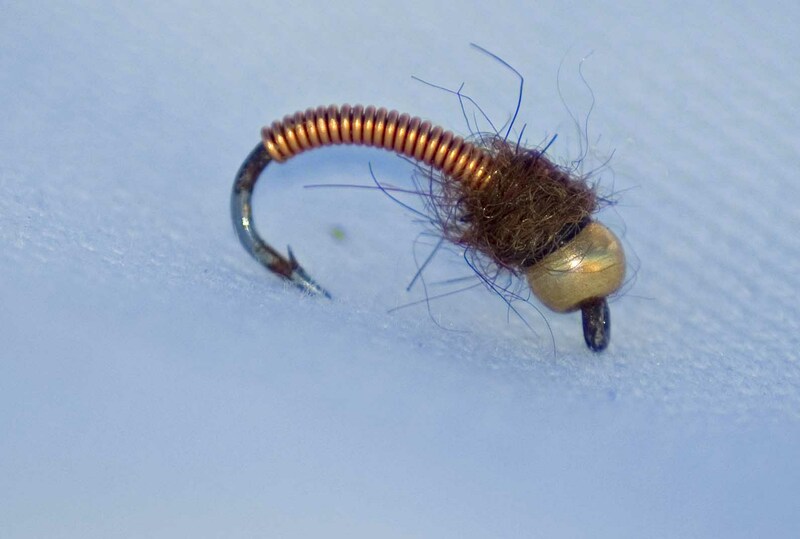 Many fly fisherman tie their own combinations and variations for a mustard caddis, but we prefer the golden colour and it has to have a hairy or rough texture. 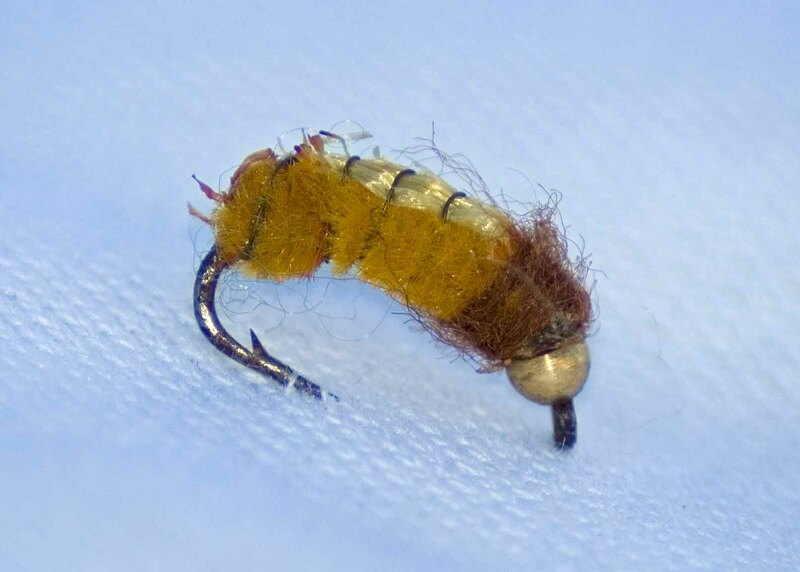 The Caddis Hydropsychidae larvae is a great food source for Yellowfish. Most people refer to them as just simply green rock worms. 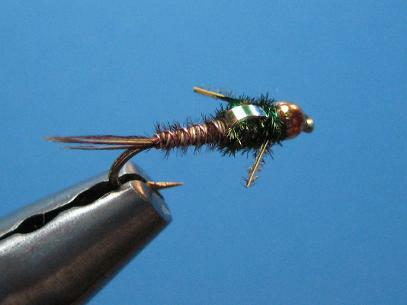 Green or olive green works great for this fly. 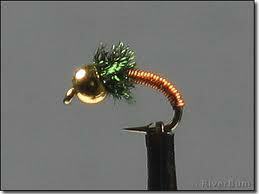 The brassie represents things like caddis, mayflies, and maybe even midges. This is also a top fly to use. You can use it with a slow retrieve in quiet water or simply nymph it with the natural flow of the river. ALWAYS have brassies with you when targeting Yellowfish. Successful when fish are sensitive. 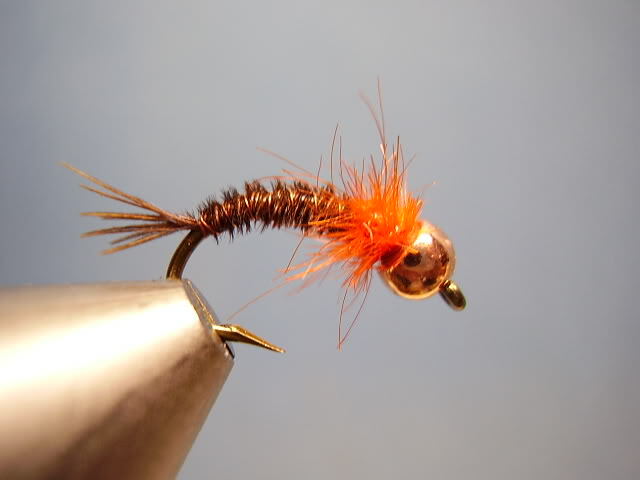 Being the easiest fly to tie you can make up a lot of variations, but the copper colour with peacock works the best. Mainly used as a pointfly it will produce fish when no other flies work. The copper or darkbrown colour copper john has been very effective and showed the most success. The weight on a copper John gets you to the feeding zone fast and is also good for nymphing in the Orange River. A great attractor fly. A top fly that should be in every flybox. The nymph is the longest stage of the life cycle, 4 years and longer. They live in their habitats preying on larvae, nymphs, shrimp and small fish. They have the ability to move very quickly if startled in 4 to 6 inch darts by jetting water through their body. Emergence is not done en masse like most other insects. Instead, individuals crawl along the bottom toward shore and clamber out of the water during the dark hours. Here they seek vegetation to crawl up and anchor to in order to break free of their nymphal casing and emerge as an adult. 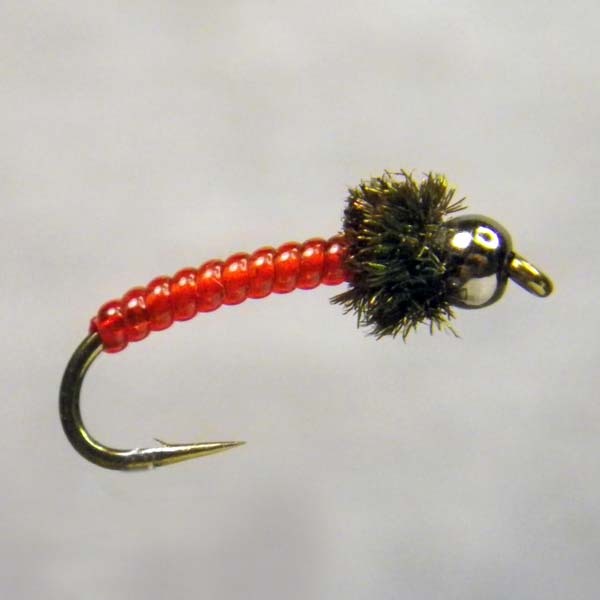 This is a great fly when targeting large Smallmouth Yellowfish and Largemouth Yellowfish. This fly has shown success when I just don’t seem to get any luck with other flies. Have this one in the back of your bag as it will get fish when you think there are no fish. 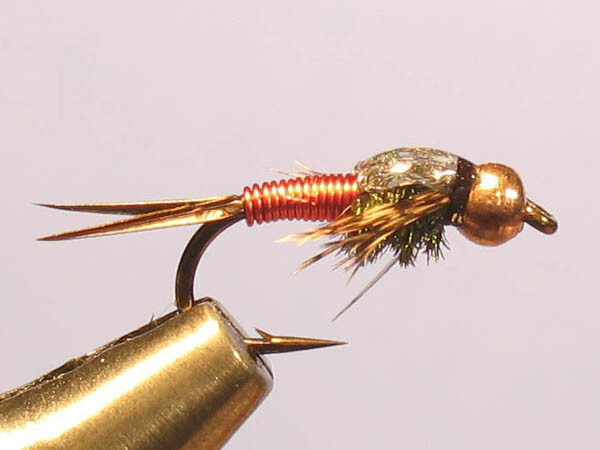 There are many variations of this fly but the green or grey has shown best success. This fly is effective in any type of water. 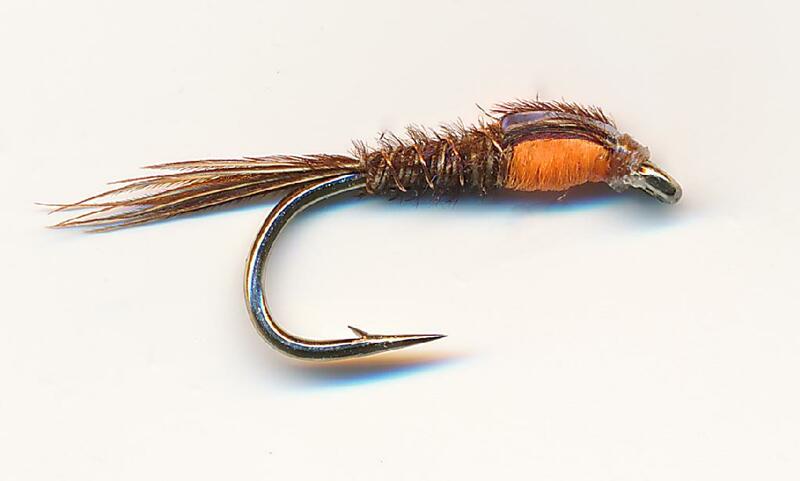 With it’s natural colours and the flash back as an attractor, this fly will give you much success. 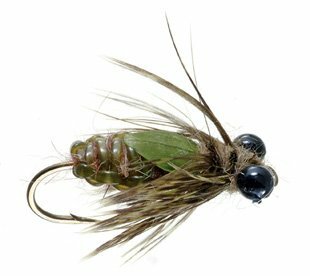 Those days that the fish are just not producing and perhaps you are fishing in the middle of the mid day sun, try this fly. 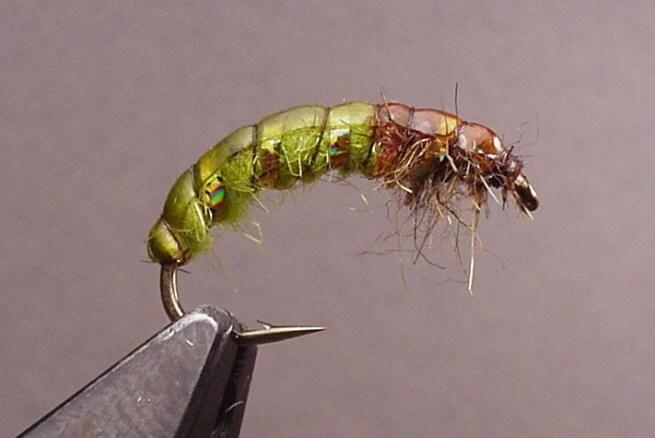 The beaded bloodworm caddis has worked on many occasions. Stand in the river and look underneath the stones and if you see them there, the fish will definitely prefer this fly. Once again there are many variations, but this one is just irresistible for the Yellowfish.